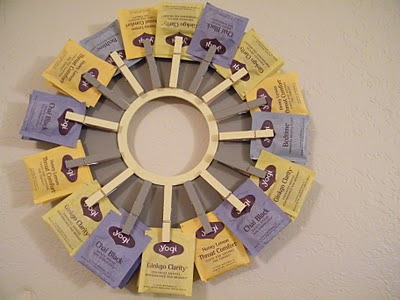 As promised, here is the advent tea wreath in its entirety. With so many bright and interesting tea bags, I thought it would be fun to create a colour chart of sorts, so during advent I'll be working my way through a rainbow of teas! And, of course, the Kojo Designs beauty that inspired it all. So far, we've sampled Lipton's Asian white tea, which was deliciously light and unusual, and the Twinings Traditional English, which was perfect with a chocolate biscuit. Thanks, Brooke. It's all about making sure there's always time for tea, you know! Astrid, I was thinking of you when I wrote the "red" post and hoping you'd join in. It was all I could do to not slip "red red completely red" into the post somewhere...Thanks! Okay - I meant could 'get' confusing. That's what I get for taking the micky out of a speech impediment. Although when I was young and I had a brace my parents repeatedly made me say sausages! 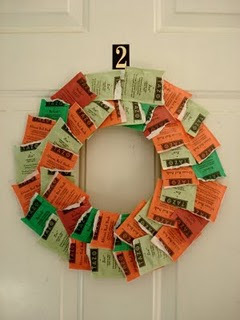 I love this unique advent idea. 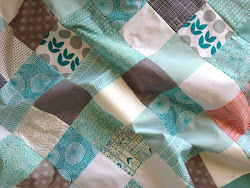 I'm going to link to you on my blog! I've never seen these before... what a great idea! found you via a photo on the pinterest site -- LOVE the idea (from a fellow non-stop tea drinker!! Thanks for all the lovely comments! We are loving our daily tea, and hope this inspires you all to try it, too! Kiley -- yes, I loved your red theme! Thanks for stopping by. Jadyn -- I love your wreath! 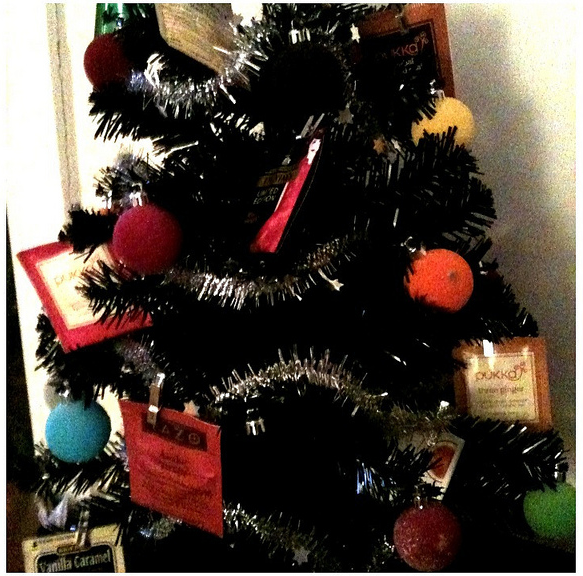 Sorry again you missed out on this round of advent tea, but next year, I'll make sure you get to take part. Margie -- thanks! 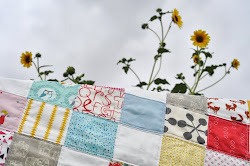 You've got a lovely blog! Buckaroomama -- glad you like them! We'd love to see if you make one, too. Mary -- yay for Pinterest! Hope you give it a try! Such a great idea - if only i wasn't so stuck in my ways and only drank one type of tea! Make sure you keep me in mind for your pegs next year! Kate, you could have a single-colour wreath, where every day is the same type of tea! Yes, I'll keep you in mind, thanks. 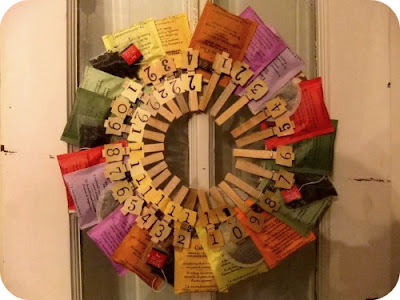 the tea wreath advent calendar is a very clever idea !! !